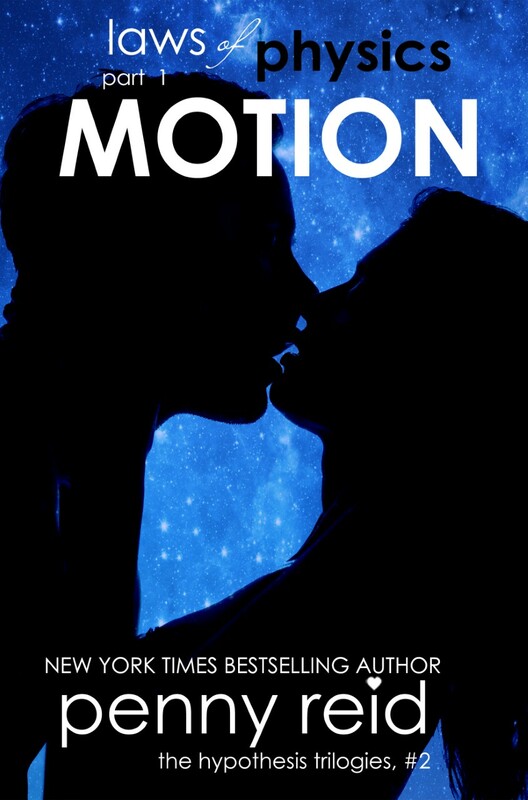 (1) MOTION – out today! Read an excerpt from MOTION below! Prunes would be my constant companion for the next week, the means by which I delayed answering or speaking to Abe. Good plan. The fiber consumed would be a bonus. Tossing the pits in the garbage and rinsing my hand, I zipped closed the bag, tucked it under my arm, and glanced at the pantry. The backpack would stay put for now. Abe didn’t trust Lisa. Best to move the bag in the middle of the night, or at some point when I could be 97 percent certain we wouldn’t cross paths. So, what did I do now? Read? Exercise? Going for a walk was out of the question. Watch a movie in the theater downstairs? I hadn’t seen a movie or TV in months, but Abe said he’d be in the basement, so that was a no-go . . . How about a shower? Yes. Shower. A shower was the answer. I hadn’t showered since yesterday. Plane rides didn’t make me constipated, they made me feel grimy. A shower sounded divine. Hydra environments were deeply within my wheelhouse. And yet, I was faced with a quandary: I wanted a shower, yet I couldn’t get any part of my head wet. Gabby had been adamant about not allowing Abe to see me without Lisa’s hair and makeup. Protecting my hair and face from the shower spray was necessary. A waterproof implement was in order, one that allowed me to see and breathe, and ideally large enough to cover my entire head. A shower cap wouldn’t cut it, I had too much hair and by design it left the face exposed. The more I thought the issue over, the more I realized I would need something reusable. I didn’t want to have to reapply makeup all the time, or redo my hair. Conclusion: What I needed was a shower helmet. I was fairly certain a shower helmet didn’t exist. I’d have to make one. Biting the inside of my bottom lip, I searched the kitchen drawers closest to the gas range and found what I sought: aluminum foil, parchment paper, tape, scissors, and plastic wrap. Laying my materials on the kitchen island, I used the aluminum foil to make a mold of my entire head. I lined the inside with parchment paper, cut away spaces for my eyes and mouth, and finally covered the outside with several layers of plastic wrap. I did have to make a few minor tweaks: air holes, increasing the size of the eye area for better range of vision, expanding the crown section so that I could wear my hair up and out of the way. Once I was satisfied, I carried my shower helmet and bag of new makeup to the bathroom, making a pit stop in my room first to grab underwear. When the house was remodeled before we moved in, my parents had installed an elevator. Since my room was only one flight up, I typically took the stairs. Lisa and I shared the bathroom off the main hall on the second floor. Leo’s room was on the third floor, he shared his bathroom with the two guest rooms on that level. My parents had their own bathroom and living space on the fourth floor, a giant master suite that took up the entire level. Stripping out of the tank top and leather pants, I twisted my hair into a bun and fitted the waterproof helmet into place. Three minutes into my shower, I was generally pleased with the results of my efforts. The helmet succeeded in its purpose. My hair and face were dry. The only downside was the interior acoustics, which seemed to amplify the sound of the shower tenfold. Ah well. I would have to make notes for a second prototype, should the need arise. Toweling off, I studied my image in the mirror as best I could given the limitations of the helmet, and debated how to best dry the contraption. Leaving it outside was the obvious choice, just not in direct sunlight. I didn’t want the plastic to melt. The small balcony off my room should work and had the added bonus of giving me an excuse to access “Mona’s room” whenever I wanted. Decision made, I pulled on my underwear. I left the helmet on—enjoying the novelty of feeling like a Storm Trooper, or perhaps a member of Daft Punk—wrapped an oversized towel around myself, and opened the bathroom door just in time to almost collide with Abe. But we didn’t collide, thanks to my eyeholes and his veering to the left at the last minute. Bah! I forgot my prunes. I could see him more clearly now. His forehead was scrunched, like I, or my shower helmet, or both of us together were inconceivable. Now I frowned at him. The way he’d said smart irritated me on my sister’s behalf, as though the mere idea of me—Lisa—doing anything smart was outside his understanding of reality. “Clearly, you’re a foremost expert on what qualifies as ‘smart.’” I tugged my towel higher. Abe pressed his lips together in an obvious attempt to curb a smile, but the presence of faint indents on either side of his mouth, the beginning of dimples, betrayed him. “Shower helmet,” he said, eyes— which I’d just this second realized were the color of amber when he wasn’t irked—glinted with amusement.